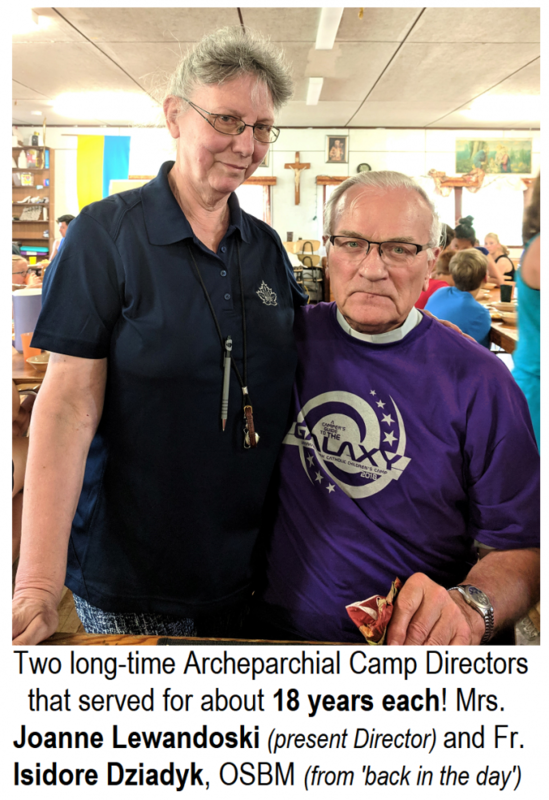 His Grace, Metropolitan Lawrence Huculak, Archbishop of Winnipeg, made the trip to Ukrainian Park on the west beach of Lake Winnipeg north of Gimli, Manitoba. 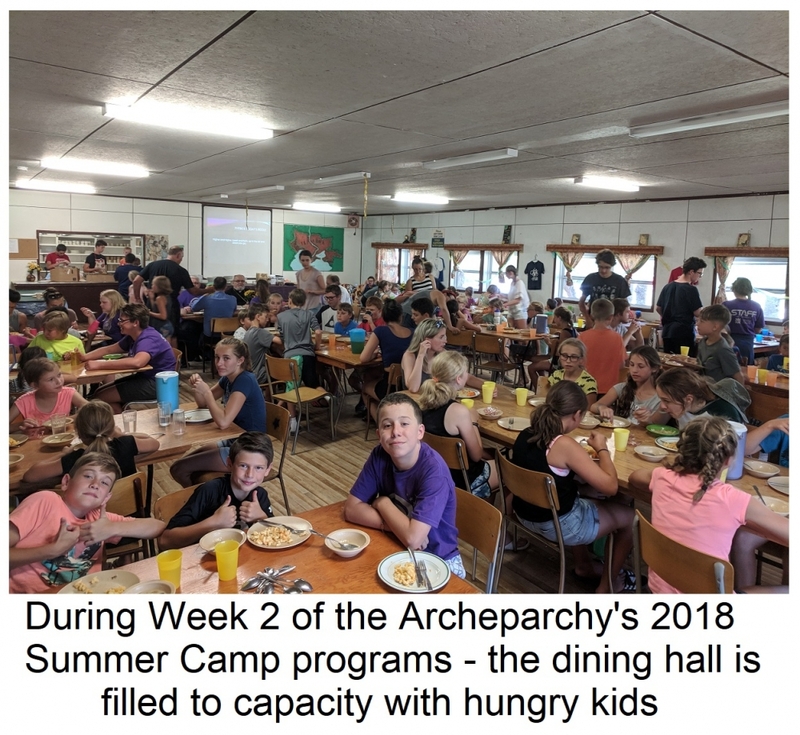 The purpose was for his regular visit to the second week of the Children's Summer Camp that is organized by the Archeparchy of Winnipeg. The day began with a Eucharistic liturgy celebrated by His Grace in the St. Volodymyr Chapel in the heart of Ukrainian Park. 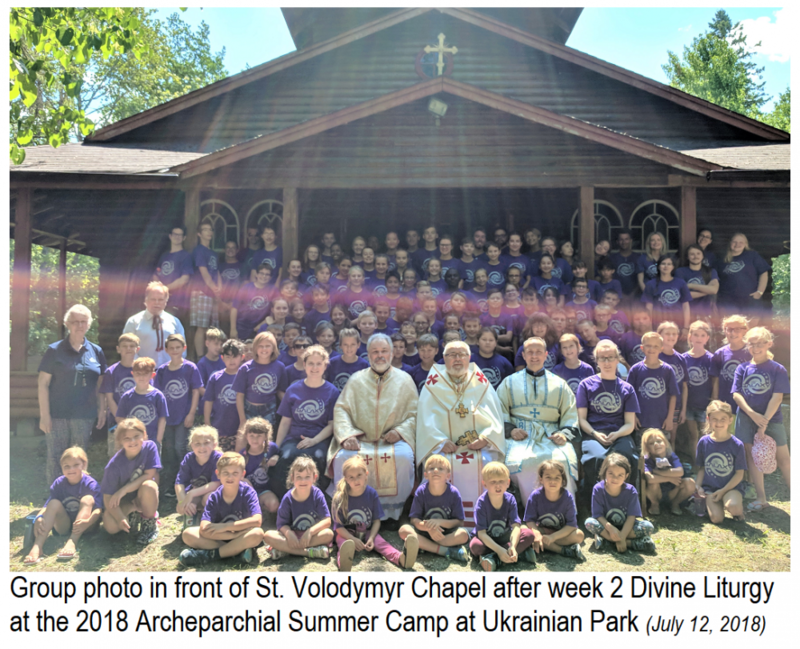 At the liturgy two young campers read the Epistle in both Ukrainian and English. 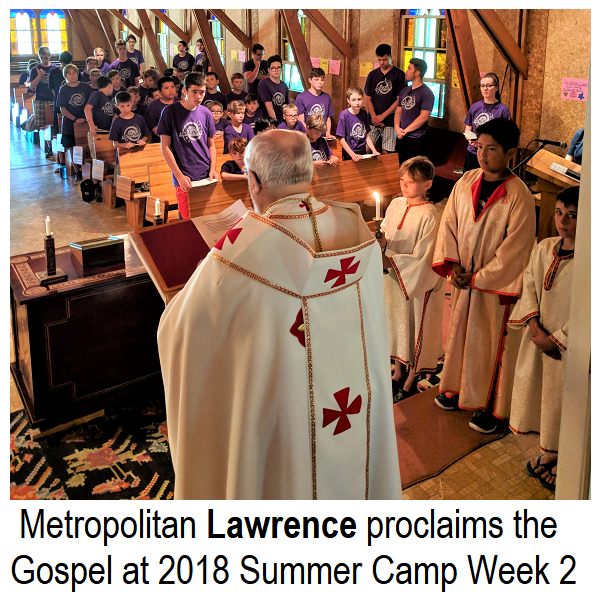 Metropolitan Lawrence preached an interactive homily on the selected Gospel reading (Mark 10:43-45). He encouraged the children to understand that they can live the Gospel message of love of neighbour anywhere. Even here at summer camp, he explained, they have many opportunities to show kindness and concern toward others and perform acts of charity. The Chancellor, Fr. 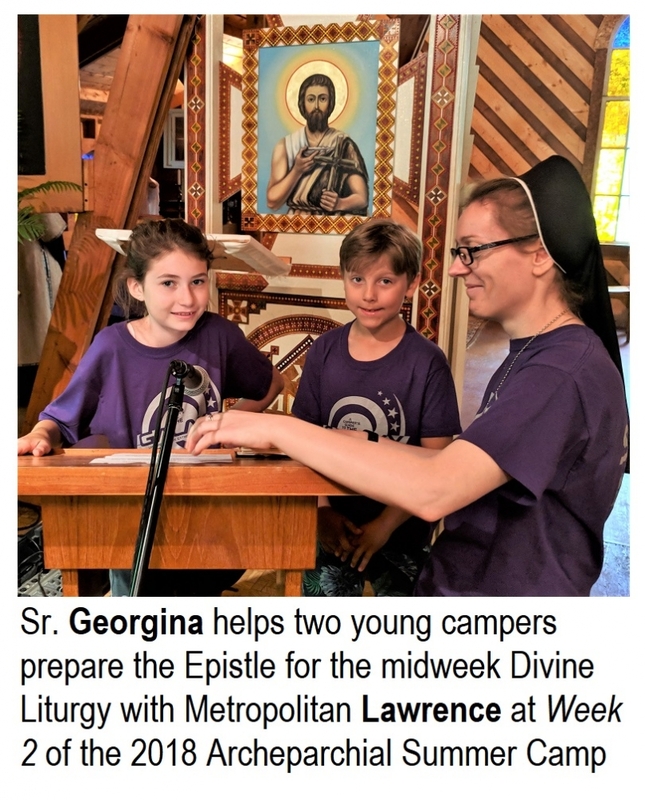 Michael Kwiatkowski joined the Metropolitan for the visit and therefore also concelebrated the Divine Liturgy. 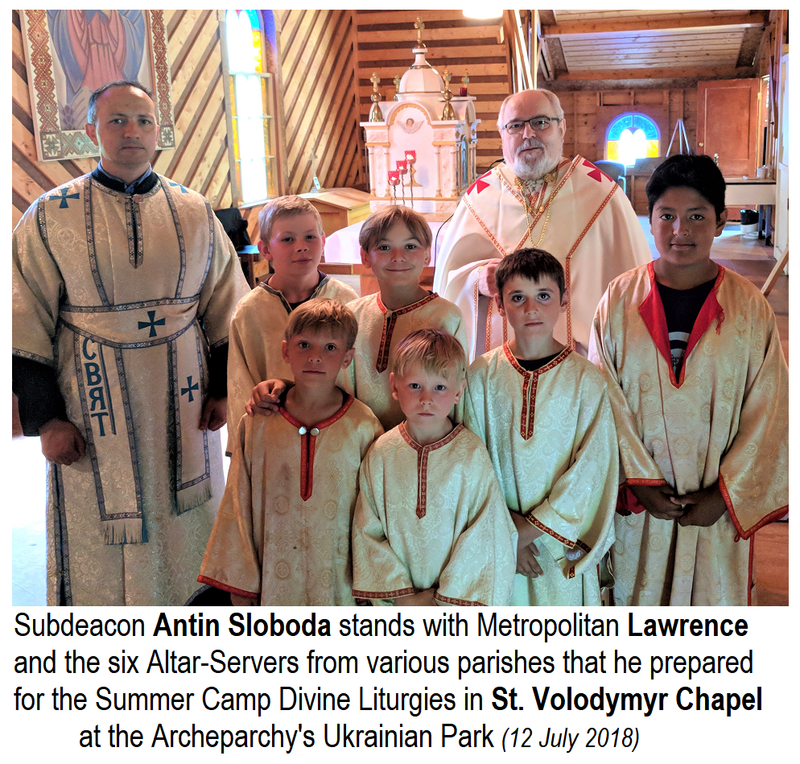 Subdeacon Antin Sloboda also assisted and even organized six Altar Servers to help out. The six boys were from various parishes around the Archeparchy. Two of the boys are brothers from Cooks Creek. One of the brothers said something that surprised and warmed the hearts of the clergy. At the close of the Divine Liturgy, as the Servers were returning to the sacristy, he just turned and said, "Thank you for being a deacon and a priest". 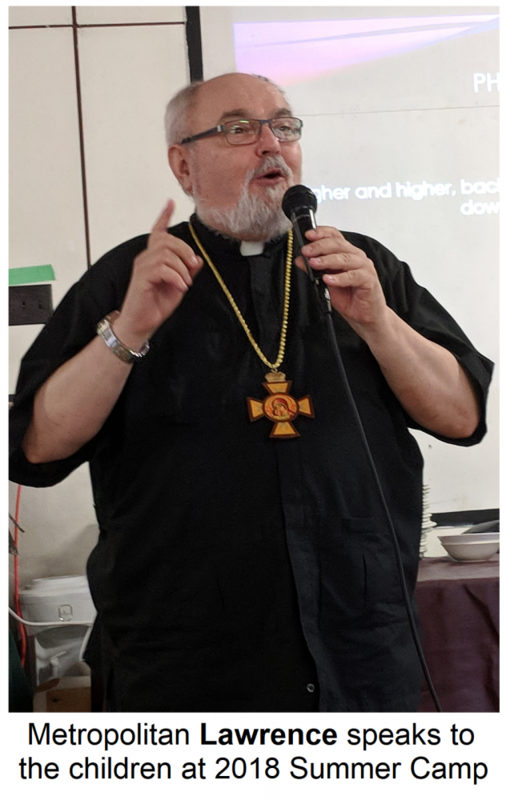 At the lunch that followed, once again, Father Peter Chorney and Father Isidore Dziadyk, OSBM showed up bringing much appreciated ice cream treats for everyone. The special dessert was a perfect conclusion to a wonderful meal prepared by Jody (Zazula) Wilgosh and her staff that has been working with her for two weeks now and will continue into another week! At the lunch Metropolitan Lawrence once again delighted the children and staff alike with another adventure involving his hometown mythical (?) friend, the "Ogopogo". As one member of the staff said, he should compile all of his Ogopogo stories and publish them. Each time, the story is unique and usually concludes with an important 'moral to the story". It would be a bestseller.